Datamatics Walkin Recruitment in Mumbai | On 16th, 17th October 2017. Datamatics has released a recruitment notification to fill vacant positions on Trainee role. Candidates who had completed graduation they can attend Datamatics Walkin on 16th, 17th October 2017. Aspirants who are interested to get placed in BPO Sector it is an excellent opportunity for those job hunters. 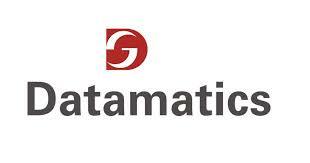 The detailed information about Datamatics Careers is given in the below section. Candidates who are having the above requirements which were mentioned by the Datamatics Global Services company those people can attend on the walkin date at a particular location. Who will attend after the walkin date they will not be interviewed. Who had completed graduation without arrears can apply for the latest jobs in Mumbai. For further details about Datamatics Walkins in Mumbai, aspirants can read the entire post. As the last date is fast approaching for Datamatics Company, candidates can start their preparation by checking out Datamatics Test patterns and Datamatics Placement Papers which will be very useful for the applicants. Interested candidates can directly attend the drive at the below mentioned venue. Will be working on Website, Web Application management & Content management of Web Pages on platform like HTML, CSS, Java Script, PHP and ASP.net. Will be communicating with onsite client interaction, stakeholder management, consulting technical issues, handling meetings etc. Will be working on MSSQL Server. Handling requests like creating database, executing sql scripting, sending database dumps/backups. Will be working on troubleshooting & resolving issue related to IIS Server. Update, upgrade and remove contents based on the request from the clients which is through emails. Any Graduates, Under Graduates, Diploma holders, Candidate without arrears can apply. Note: Male candidates would be preferred. Shift Timing: 12.30 pm – 9.30 pm or 11.30 am – 8.30 pm. Datamatics Global Services Ltd. is one of leading Non-voice BPO company in the U.K, U.S and Germany. Datamatics headquarters in Mumbai. DGSL offers a host of business services such as Finance & Accounting Services, Content Management, Document Processing, Market Research and Consulting Practices to international clients. It spread across the world, including four of the ten Fortune 500 companies. The company is focused on delivering value through integrated solutions for data intensive business processes. That helps to enterprises across the world overcome their business challenges. Candidates who had completed graduation they can attend for Datamatics Walkin Recruitment which will be held in Mumbai on 16th, 17th October 2017. Interested aspirants can check the below details and attend at the below mentioned venue. We hope that the above Datamatics Recruitment information is useful for the Job seekers. For latest IT Job Updates candidates can check them on our site Freshers Jobs for factful details and bookmark this page for future purpose.